The freshness of the tomatoes, along with the contrast of sweet mangoes to spicy jalapeño & onions will have you digging your chips in again and again! Mix all ingredients in a small medium bowl. Cover tightly with plastic wrap and leave on the counter for 30 minutes to marinade. Use or refrigerate. 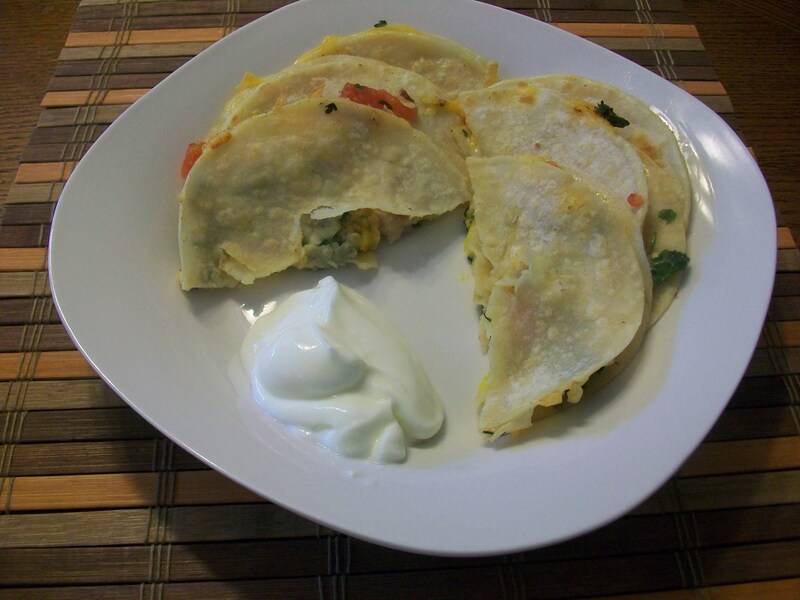 Serve with chips, on tacos, in quesadillas. Sometimes I even take leftover salsa after a party and use it in lieu of taco seasoning for taco meat – YUM. Check back all week long for new Cinco de Mayo recipes, and don’t forget to check out our Cinco de Mayo Giveaway! 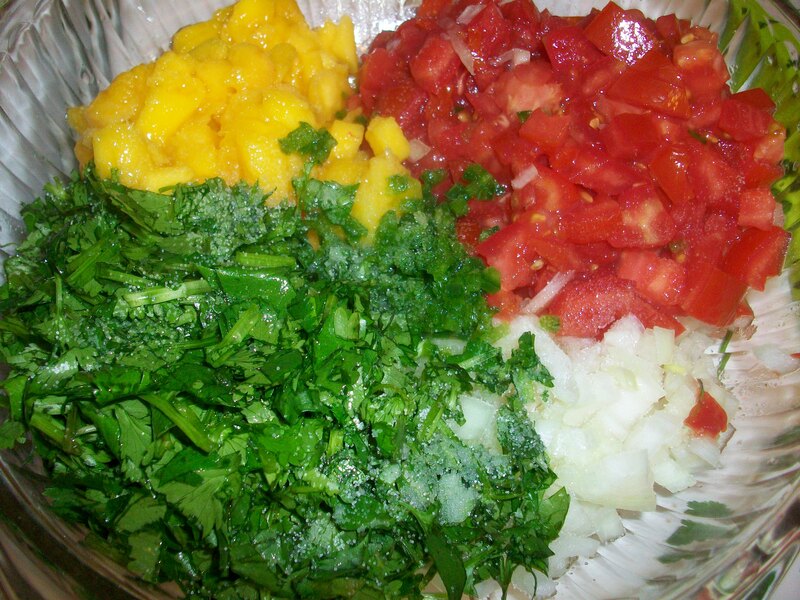 And check out our new How To page – learn how to finely dice an onion in 5 simple steps (for your homemade salsa!). 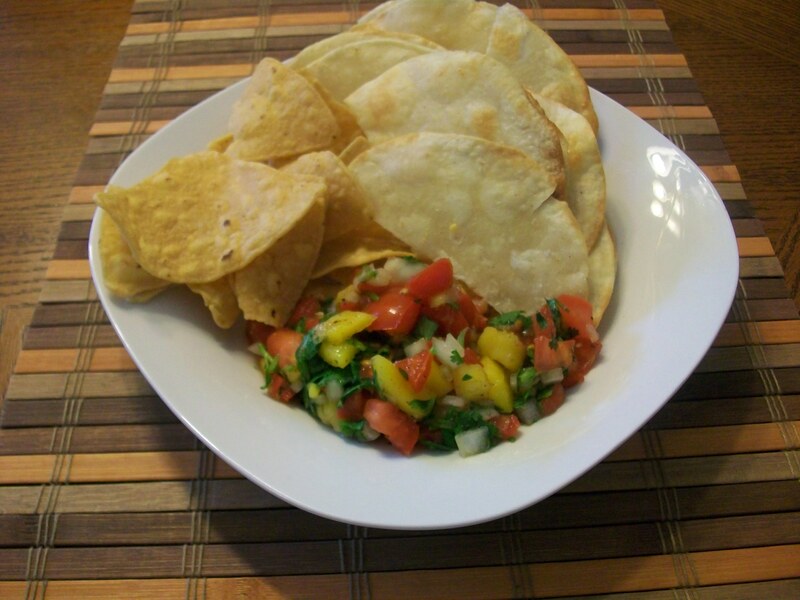 Tags: food, mango salsa fresca, recipes, vegan, vegetarian. Bookmark the permalink.